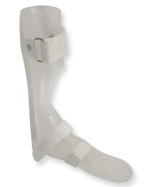 Welcome to Bracemasters, LLC Foot Brace Blog. Bracemasters International LLC has begun its blog with the intent of constantly informing patients and health care providers worldwide of our ever-evolving product lines and educational endeavors. At BMI we stand by the belief that there is always a way to innovate and expand the effectiveness of our products in the marketplace. We make certain that while engaging in any facet of our business, we are always focusing on our holistic approach to patient and professional interaction.